Melissa and George lived in one subdivided half of what was originally a large Edwardian house. 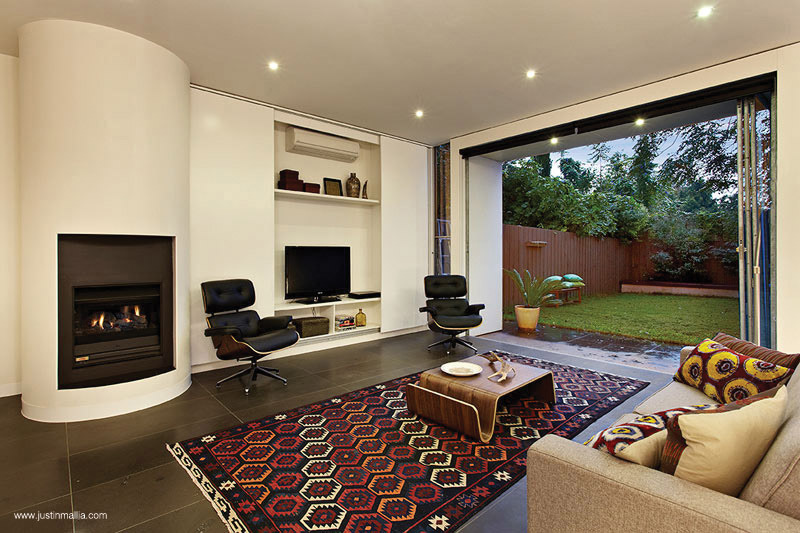 Their intention was to capitalise on their large, unused ceiling space hidden beneath the original roof and provide a new living area with connection to their south facing backyard. This project skilfully deals with a heritage context and the occupation of potentially dark spaces within the roof or facing south in a manner that enables penetration of natural light, ventilation and connection between inside and outside. The new living room has a full length, multiple layered, cellular plastic wall consisting of timber framing and rice paper lining. This wall provides thermal insulation while taking advantage of the small amount of available natural daylight to illuminate the internal space.